Whether it’s stories of our bottles being run over by a vehicle and surviving to be used another day or the baby who wouldn’t take a bottle before they tried ours or how our thermal bottles made a beach vacation easier – we think we’ve heard it all… …until we get that next great story! 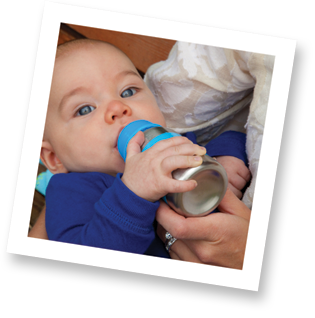 Send us your story or a snapshot of your organicKidz bottle in action! Is your family vacationing somewhere tropical or are you heading out to the playground? Where is YOUR organicKidz bottle today? We’d love to see a picture! Upload it here for your chance to win! By sending this story or image to organicKidz you give organicKidz permission to use your story or image in marketing materials, packaging, website or any media at the discretion of organicKidz.